Growing herbs is one of the best things for a back yard cocktail garden. Many herbs love the abuse of punishing hot sun and well drained poor soil. 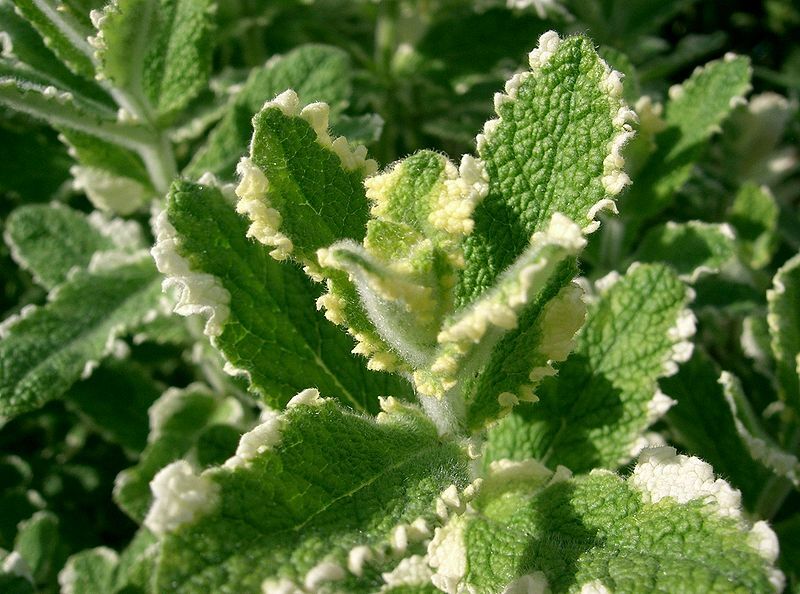 Try pineapple mint and pineapple sage for enhancing your cocktail palette with some aromatic sophistication! Nicki has TWO recipes for you to sink your lips into. Muddle fresh pineapple, lime, pineapple sage, salt solution in the bottom of a low ball glass. Add in tequila, fill with ice and stir. 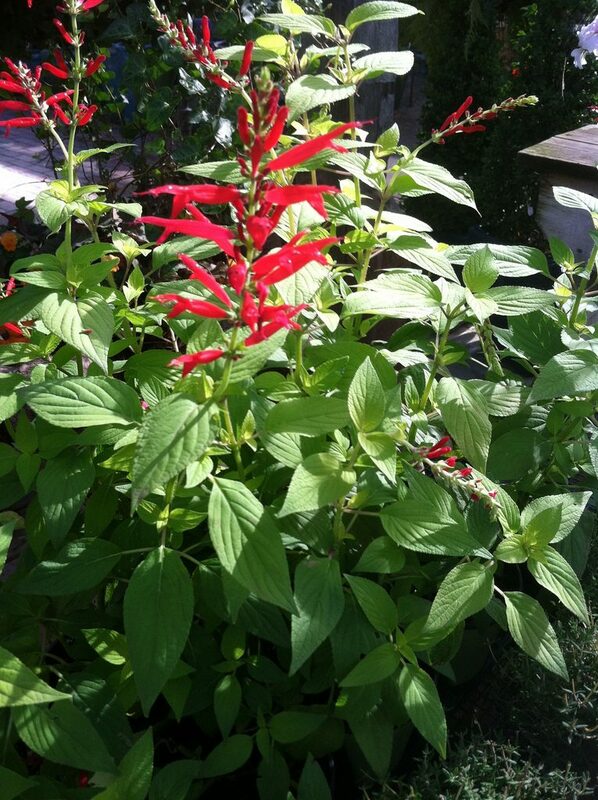 Pineapple sage pictured above, in full bloom. Those tube like flowers are good for humming birds and pollinators with long tongues! Add 1 cup of sugar and 1 cup of water into a small sauce pan. Heat until sugar is completely dissolved (do not bring to a boil) and remove from heat. Add in 1-2 cups roughly chopped pineapple mint. Cover and heat until at a light simmer. Remove from heat and let sit (covered) 30 minutes to an 1 hour. *Salt solution, use sparingly to open up and enhance flavors. Mix 3 or 4 teaspoons into 1/3 cup of water and mix to dissolve. Combine all ingredients in a cocktail shaker and shake over ice. Serve in a coupe glass. Pineapple mint has beautiful variegated leaves and a heavenly scent. Definitely a cocktail garden bonus.